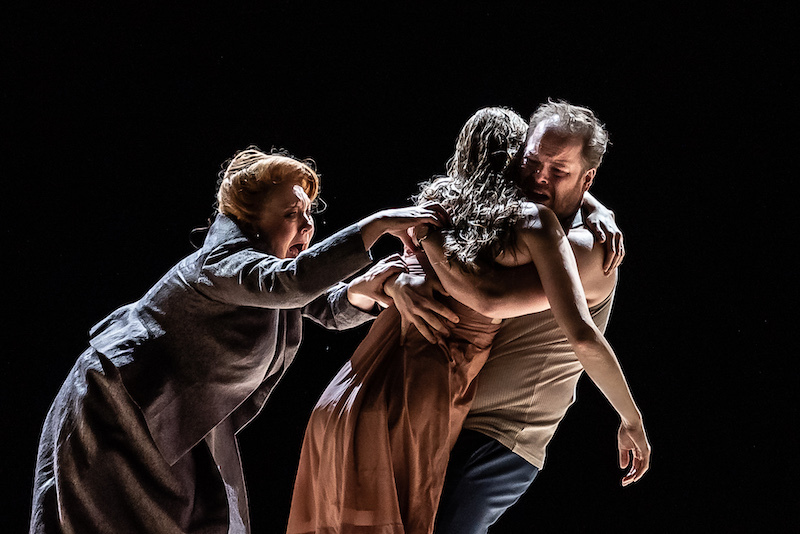 It never rains but it pours: three productions of Janacek’s Katya Kabanova running in the same week – excellent ones from Scottish Opera and Welsh National Opera, and a new one from the Royal Opera directed by the always-interesting Richard Jones. And there are two heroes in Jones’s production. 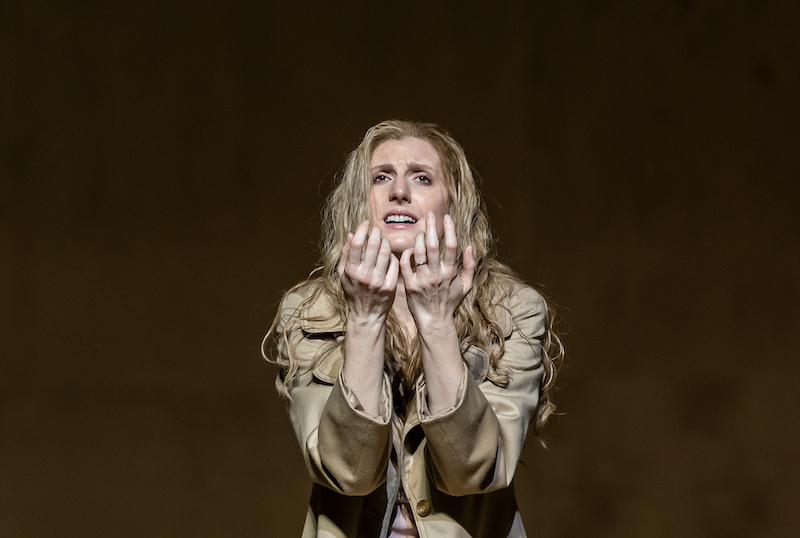 First, the American soprano Amanda Majeski in the title role, self-destructing with unnerving conviction under the inhuman pressures of village morality. And secondly, conductor Edward Gardner, here making his house-debut with such serene authority – in a score that twists and turns, dips and tosses, like a boat on turbulent seas – that he gets his own ovation at the interval. But there shouldn’t be an interval, because this work rushes towards its tragic conclusion with hurtling inevitability. This was the first of four operas inspired by Janacek’s hopeless infatuation with a happily-married young woman, and its plot turns on the breach of a taboo: Katya is stifled by her marriage to the weakly mother-dominated Tichon, and yields to an adulterous love. The characters sing of Moscow and the Volga, but Jones and his designer Antony McDonald locate us in a village in Fifties Czechoslovakia, where gossip and twitching curtains ensure that everyone knows everything, and unacceptable emotions find no hiding place. At one point the entire village stops, its denizens frozen like figures in a Lowry painting, but most of the time they are like a flock of starlings in disturbed and constant flight. In the storm scene this technique goes badly wrong – it just becomes a gimmick, and it’s accompanied by strobe lighting which has half the audience covering their eyes in self-defence. Otherwise the choreography brilliantly embodies the impetus of the music. The moments of intimate drama are wonderfully acted. The scene unlocked by the symbolically-stolen key, in which parallel duets take place between Varvara (Emily Edmonds) and Kudrjas (Andrew Tortoise) on the one hand and Boris (Pavel Cernoch) and Katya on the other, is poignant in the extreme: angst-ridden restraint contrasting with cosy sensuality. Andrew Staples’s Tichon isn’t the usual booby – he has his own dignity, and is all the more believable as a result. Susan Bickley’s Kabanicha is as vicious a tyrant as any I have seen in that role. Meanwhile Majeski’s incarnation of Katya is a virtuoso performance. Projecting at the start a sweet innocence – a girl whom ‘a breeze would carry away, let alone the storm that hangs over her’, as Janacek put it – to desperation that her young husband shouldn’t go on his business trip and leave her prey to her own hungry amorousness, she expresses her mounting anguish as much with her body as with her voice. Her dive into the river, and the ensuing confusion and consternation when her limp corpse is fished out, is adroitly dealt with, as is the opera’s balefully sphinx-like conclusion. Get rid of the strobe stuff and you’ve got a perfect evening.